Do you apply foundation first, then concealer? I do, in hopes that the foundation will take care of some of my problem areas so I won't have to use as much concealer. Also, the concealer will keep from getting smeared around. However- sometimes when you glance at your undereye area and feel like it's cakey- it's not always the concaeler's fault. Does your foundation look thick, dry, unnatural elsewhere on your face? Chances are it's not going to look great in the undereye area either. So just keep that in mind before you blame the concealer. I'm not saying don't put foundation there- but just be aware of what kinds look fresh and natural for your skin type. Don't apply too much undereye concealer. Begin with a very small amount, and build it up only if you think it's necessary. I find that the amount I use varies almost daily, and starting small keeps you from overdoing it. Don't go on auto-pilot-- doing it the exact same way every single day, because your needs will vary. Warm it up! A lot of creamy, full coverage undereye concealers are much thicker than the average foundation. I recommend getting some of that creamy concealer on your finger, and rubbing it together with another finger. This will immediately make the texture just the slightest bit thinner- and it'll mesh with your skin in a more natural way. As you apply concealer to the under-eye, there are some extremely dry kinds that I prefer to just press into the skin, so the heat of my fingers can continue to work its magic. However not every concealer requires it... and there's a new generation of brushes that I think is fantastic for buffing out your concealer- they're the Sigma Sigmax Precision brushes. 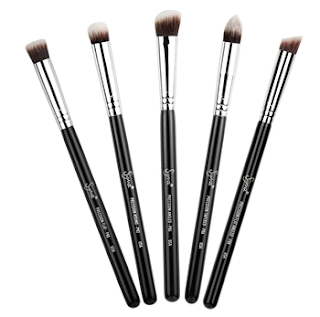 A side benefit to these brushes- as you blend, you also pick up a certain amount of excess product with the brush. After experimenting with all of these brushes, I especially love the rounded one (P82, second from the left), and the new flat angled one (P88, far right). Check them out here on Sigma's website. Mattify. Some concealers leave a very moisture-rich texture which can make bags or anything that's not smooth under the eye seem much more obvious. Let's face it, we're not always wanting to just conceal blue-toned darkness of under-eye circles, but also the shadows that bags can create on the face. A light dusting of powder over the concealer can work wonders for making that whole area look smooth, even, and bright. You can use anything from a face powder to Bare Minerals Bisque (careful- it's full coverage). If you have an extra fluffy eye blending brush- these fit nicely in the undereye area and don't pack on the powder as much as a flat concealer brush. Blot! This was a tip that I mentioned at the end of my concealer video, but before you finish your makeup, double check those little lines under your eye area. You don't always notice this immediately after concealer application- but after a few minutes- you may see product settling in those lines. It's something pretty much all concealers will do. But if you blot over those lines with a q-tip, you can remove that excess product. It'll help your lower liner stay in-tact also, since that creamy concealer isn't interacting with eyeliner, mascara, etc. I finished season 2 of Pretty Little Liars last night. Kind of freaking out about how I'm going to be able to start watching season 3! Help! I dusted today. It's an oddly satisfying experience. Friday I had a lovely phone conversation with a man (news viewer) who insists that I say Illinois wrong. Honey, I've lived here all my life! I can think of a handful of other words I need to be critiqued on before that one. 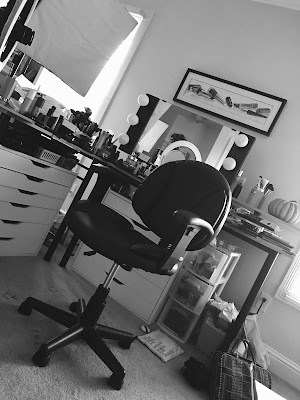 Any Beauty Broadcasters in the path of Hurricane Isaac? Hope you are safe!! More Beauty Vlogcast videos (including Ask Tyler, What's in my Bag, & more)- after the Germany trip! I will also try to post quick blog updates while on the trip, if possible! Anyone else watch beauty videos while working out? Today during a less-than-strenuous workout I also managed to browse MallyBeauty.com, where I began watching her endless video how-to's on her products. Super helpful & entertaining! Well I think that's enough nuggets for one day. See ya next time!! So jealous that you're going to Germany! I want to go one day and actually just started taking German in college now that my new major allows it. Speaking of college I'm at U of Florida so we've gotten some rain but thankfully the storm didn't hit Florida like they thought last week, hope everyone is okay in the other gulf states though! Have fun on your trip! Btw i live in Miami and Isaac was just a rainy day we are used to summer storms that are worse than this was. I feel bad for the people in New Orleans though. Awesome tips! I strangely wondered why some days my eyes look better than others. I have to admit of doing it the same way every time. Today was one of those days that I used way to much and it looked awful. Have fun on your trip and take lots of pics!! There will be a marathon for Pretty Little Liars on tomorrow starting at 11 am on ABC family! The season finale is on tomorrow evening! I can't wait!!! Great tips! Thanks for that :-D. I live in the Dominican Republic and there was much damage in the rural areas. It all over now :-). Thanks for your concern! Thanks for the concealer tips, Emily—I especially like the look of the Sigmax brushes. May have to ask for those for Christmas :) And there's a PLL marathon on tomorrow leading up to the new episode! It starts at 11. That Illinois nugget was funny. Thanks for the great tip! Germany sounds like a fantastic trip! Fantastic tips. A lot of people would find them useful. I actually apply concealer first. But I agree that finger tips are the best tools. Hi again!! just to say that the videos and blogue of Lisa Eldrige are fantastics too with good information, tips, trends, etc. She is now relaunch the brand No. 7at UK and they managed a new technological device to track skin and set the right tone of skin to set the right foundation due to tone and skin type. Oh how nice, you come to Germany? Where are you going to stay? Oh my God that nugget about the news viewer calling is just hilarious!!! LoL, I live in Illinois too. Thanks for all your advise. Enjoy your trip and share it with us. Me and my family just got back from Europe a week ago to visit some relatives. :) It's a lot of fun. Let us know about your trip when you get back! Have a fun and safe trip! When you go to Germany, DO check P2 cosmetics from DM drugstores. Their lipsticks are fabulous: creamy, pigmented and for less than €2. I think I'm going to cry when I finish the one I bought. 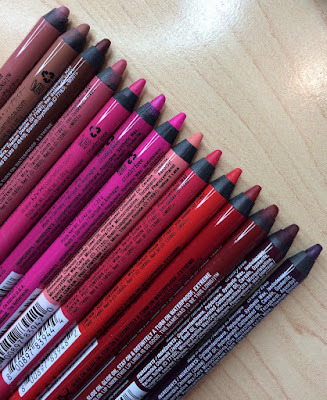 Their automatic eyeliners are the best thing I've ever tried. My sister bought the black one when we went to Berlin two years ago and I later regretted not getting any myself. And what can I say about the nail polishes: colourful, dirty cheap again and great quality. Their eyeshadows I found to be a little meh, though. I would have put wheels to the entire display if I could and packed it with me all the way to Spain, lol. By law, German cosmetics cannot test on animals, so that's an added plus. I always have problems with concealer caking or creasing too much under the eyes, thanks for the tips! I really wanna try those Sigma Brushes! Seems like they'd work great for applying concealer! Great tips! 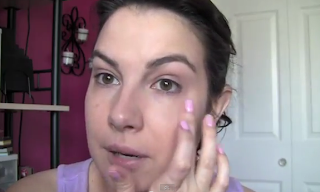 I have under eye dilemmas so these under eye concealer tips are very helpful to me. Thanks a lot for sharing. Greasy oil and dead skin cells make pore-clogged for which toxins can’t go out from our skin and that particular areas, as a result, become the perfect breeding ground for bacterial infection and acne blemishes. The actors iron develop makes it the toughest router table, Free-Standing Router Table Set Also searching for something budget-friendly. A mobile application with the ibuildapp system too. ADP Portal Login ADP TotalSource solutions use a co-employment partnership. Coming Soon: Gel Nail Showdown!